Shoes! Store shoes heel to toe. This allows you to see heel height, toe style and color for quick selection. Check out the products we love for additional shoe maintenance and storage. Clothes. 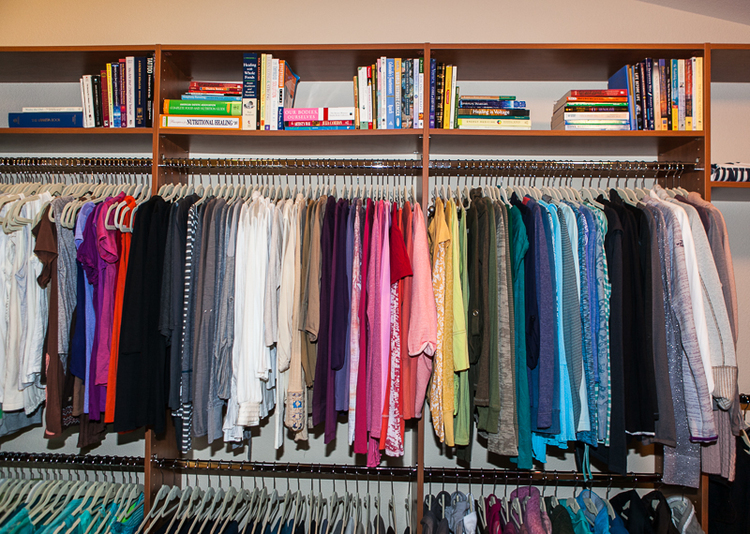 Prioritize you clothes to better utilize the spaces within your closet. 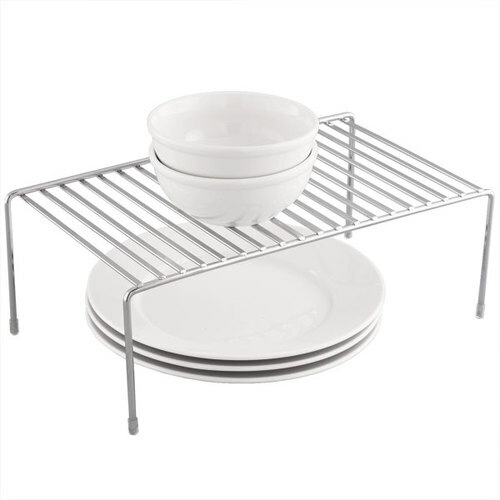 Store your most used items at eye level, less used items just below that and least used items up high. Bags and Purses. Hooks are a great way to organize your bags and purses in order to keep them off the floor as well as maintain a shaped arm strap. Finishing Touches. Little, but impactful adjustments like coordinating hangers, labeling and incorporating additional lighting to your closet can make all the difference. Last year the National Retail Federation estimated that parents spent an average of $907 to outfit their “child’s” dorm room. Gone are the days of the plain Jane room with the Peter Gabriel poster and a few thrift store items tossed in for good measure (brick and board bookshelves, anyone?) These are the days of bed-in-a-bag, ergonomic desk chairs, and machines that magically have your coffee waiting when you roll out of bed for that 8 a.m. stats class. Whether you go the $900 route or the try the scaled-down version, setting up a college dorm room is an exercise in exactitude: what is really needed, what fits where, what works best, and how to make it all look good. Every minuscule dorm room comes with the basics--bed, desk, chair, dresser, closet--and then you’re pretty much on your own. That’s where the exactitude comes in. First do a little research on the dimensions of your room, what’s already there, and what’s prohibited. Why buy all those fairy lights if your Resident Assistant is just going to make you take them down? Make sure you double check what size sheets you need--dorm beds usually all require the extra-long twin variety. Set a realistic budget, and don’t fall prey to thinking you need everything right away--better to go with the “less is more” philosophy for such a small space. Before you head off to Bed, Bath & Beyond with a giant list, shop at home first. Yes, you will need a desk lamp, but you also won’t need the one currently on your desk at home. Start looking around. What can you take from your current digs that will provide a little warmth from home and also save some cash? Make contact with your roommate to ensure you’re not doubling up on small appliances, rugs, or shared accessories. If your college offers free printing, you may not even need to waste valuable dorm-room real estate on a printer. Then focus on what items you need for each of those areas and how you can best organize and store them. Use a hanging organizer either for shoes or to keep smaller items organized, labeled storage boxes with lids that will slide under your bed or stack to keep things out of the way, a shower caddy to cart your necessaries to the bathroom (don’t forget the flip-flops for in-shower use! ), and maybe a book safe for valuables if needed. 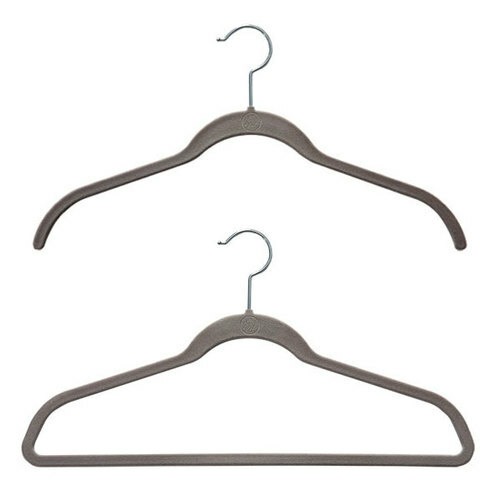 Use space-saving huggable hangers and cabinet shelves in your closet. Some colleges allow you to use blocks or bed risers to create valuable under-bed storage or living space in your room. Over 70 colleges now partner with Bedloft, which provides lofting services as well as microfridges and hangers for TVs. The big retailers like Target and BB&B offer services like “buy here, pick up there” and also host shopping events after hours exclusively for college students. There’s a reason the back-to-college business is $50 million and growing! But does your trash can really have to match your duvet cover? Don’t fall prey to marketing. Remember: your room is tiny and the more stuff you cram in there, the less room for you. You’re going to spend a lot of time over the next nine months in your dorm room, so make sure it’s comfortable, functional, and reflects who you are. Don’t forget you can always add things you need along the way once you see how your initial system is working. One thing is for certain: Target will never turn you away.